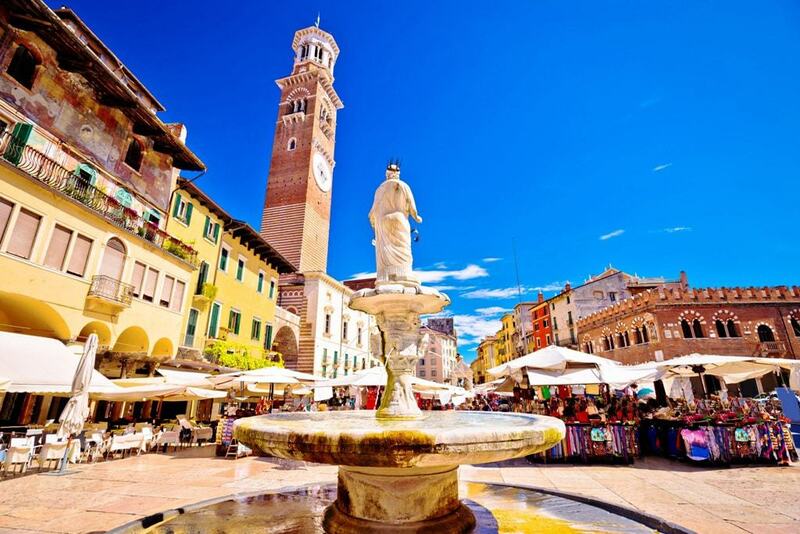 The Piazza bra is the largest piazza in the country and a perfect place to visit the many cafes and restaurants while strolling under the shade of the numerous pine and cedar trees. The great Roman Arena can be found here. This grand amphitheatre is where famous gladiators once battled and hunts of dangerous exotic animals took place. Though built in the 1st century it is still commonly used today for many famous operas. 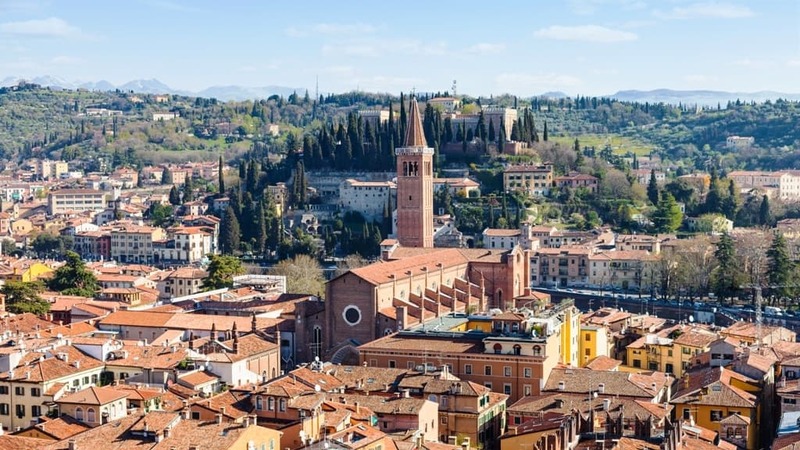 This massive, impressive structure is one of the best preserved ancient buildings of its time and something you won’t want to miss while exploring Verona. 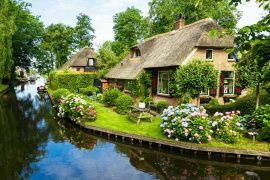 Romantics and William Shakespeare fans from around the world have made pilgrimage to this brick and stone building with ivy covered walls. 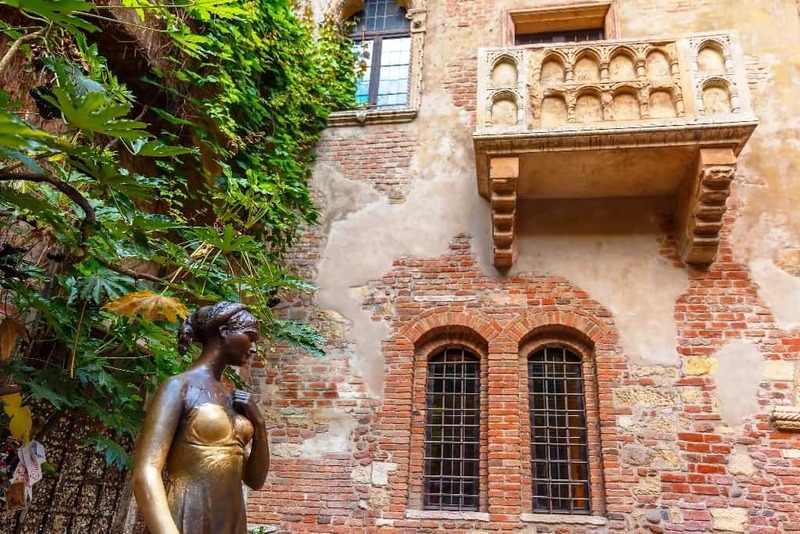 The famous balcony where the lovers, Romeo and Juliet, declared their love for one another can be found here. Love is truly in the air in this romantic location, where love letters cover the entrance to the courtyard. 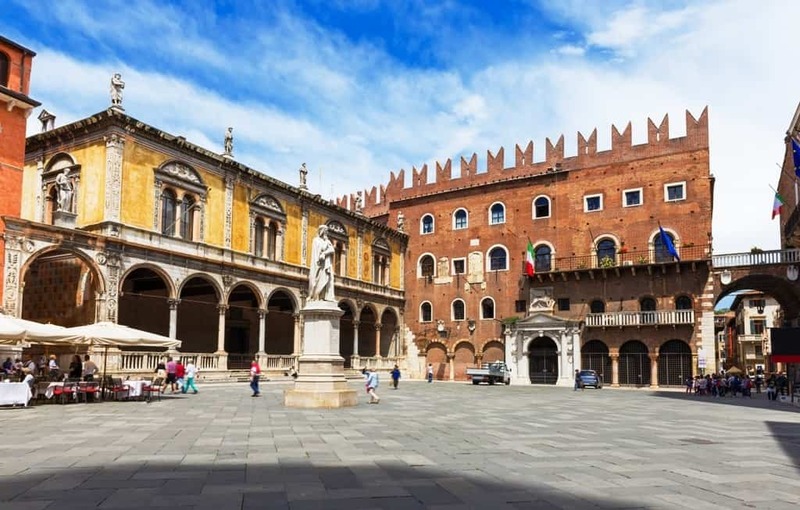 This lively square is surrounded by historical buildings, great restaurants, and bars. 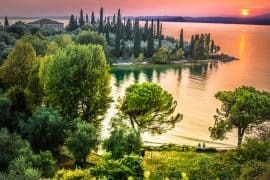 It is the perfect site to enjoy a lovely glass of wine and soak in the Italian culture. Verona Card offers free and skip the line entrance to many attractions along with free ATV public transportation. Private Walking Tour of Verona with a local. 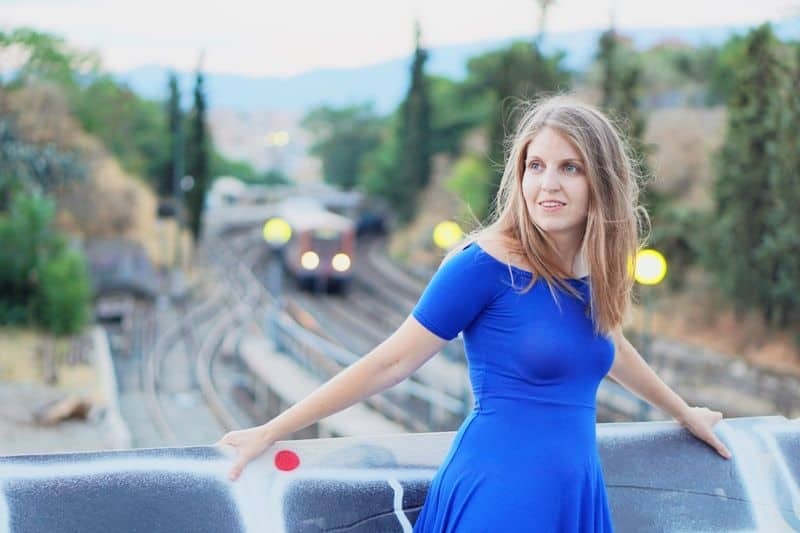 I always like to explore a new city with a local. Amarone wine trail tour with lunch. 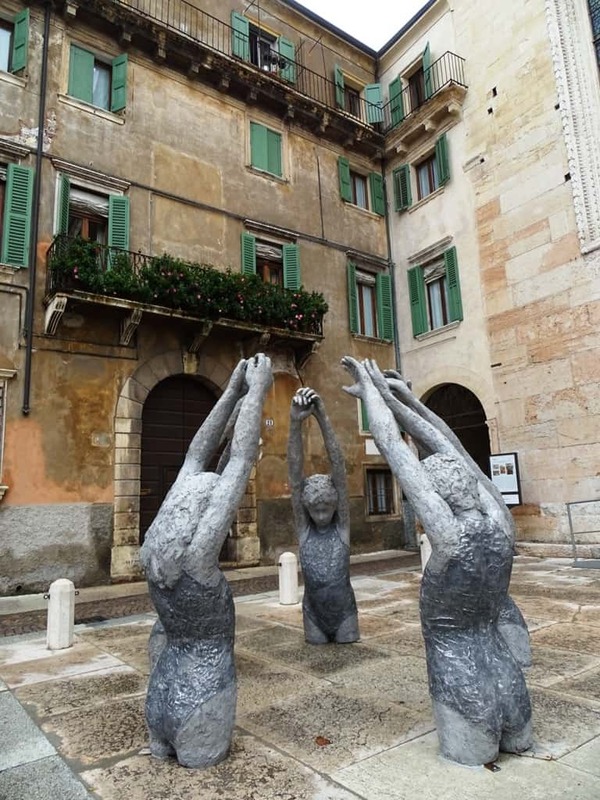 You will visit two typical wine cellars of the Valpolicella wine region, learn all about the Amarone wine and enjoy a typical lunch of the region. The tower, Torre dei Lamberti, stands tall into the skyline and cannot be missed while visiting the Piazza delle Erbe. This tower was once a residence of the Lamberti family and was built in 1172. Aristocrats once built these towers to show off their wealth and power, however, the Torre dei Lamberti is the tallest. Covered with bands of brick and marble with an octagonal bell keep perched on the top, it is a sight to see. The tower is open daily from 8:30 AM-7:30 PM, allowing you to ascend to the top to get an incredible view of the city. You can book your skip the line tickets here. 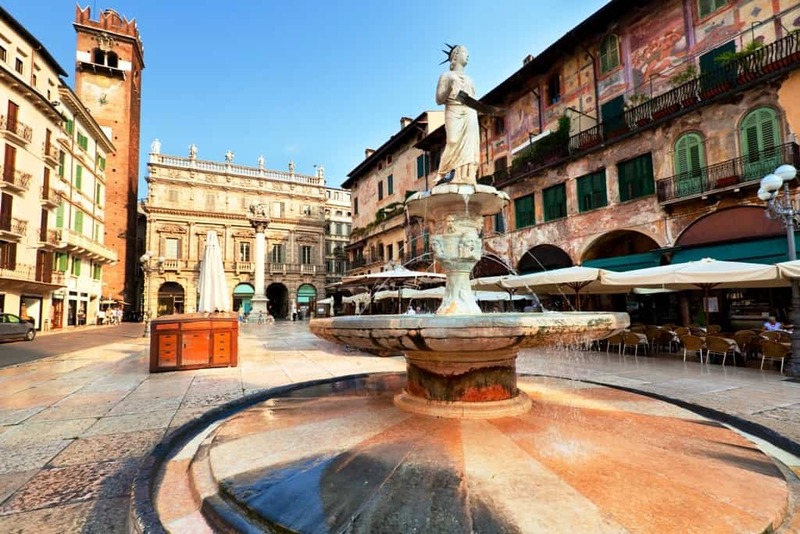 This piazza used to be the centre of power in Verona. Bordering this charming square are buildings that once housed the former government. The Scaligeri family’s seat of power and the court can both be found here. 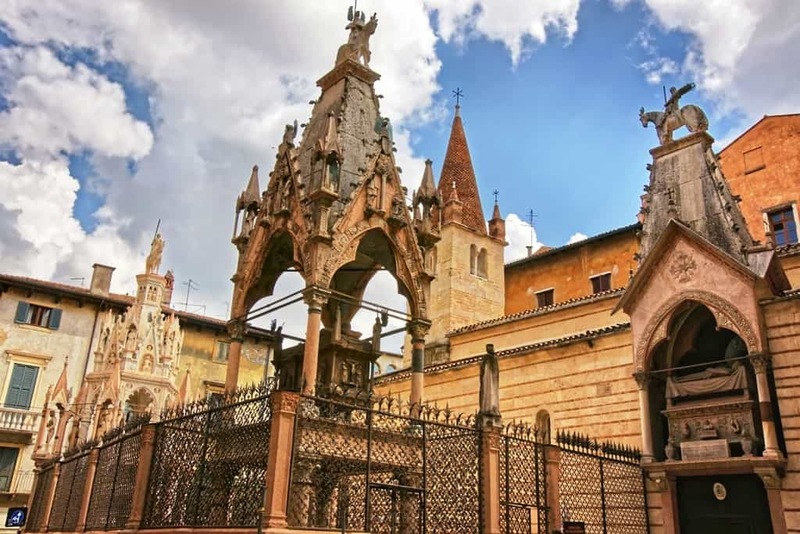 The Scaligeri family once lorded over Verona from the 13th to the late 14th century. The tombs these family members can be found outside the small church of Santa Maria Antica behind a wall with iron grilles. 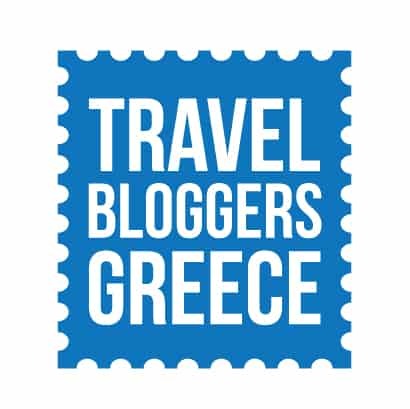 Their Gothic-style, intricately stone-carved sarcophagi are a must-see while visiting the town they once ruled over. 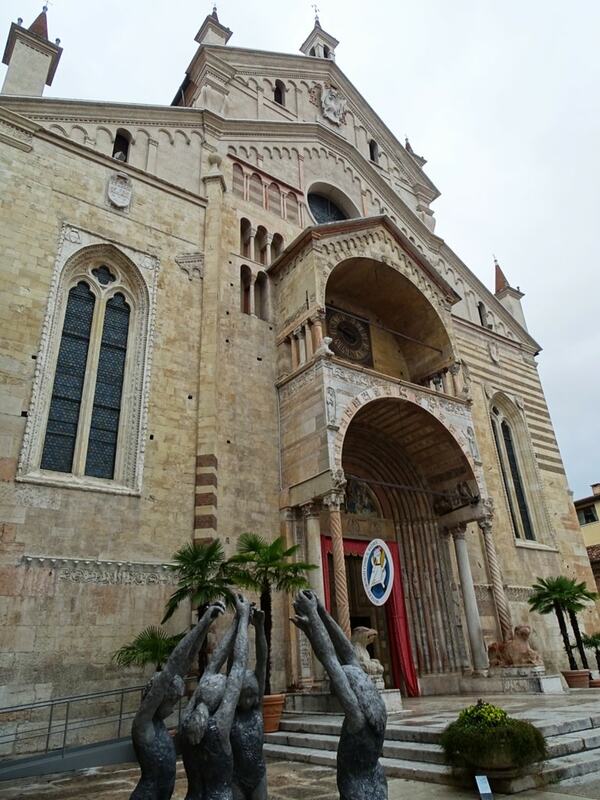 This complex is a beautiful and elaborate example of Romanesque and Gothic architecture. The complex is made up of the Chapter Library, the Cloister of the Canons, the Baptistery, the Church St Helena, and the Bishop’s Palace. 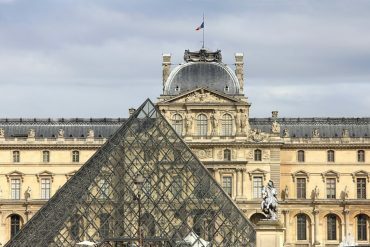 It is located in one of the oldest parts of the city and is an artistic complex you won’t want to miss. 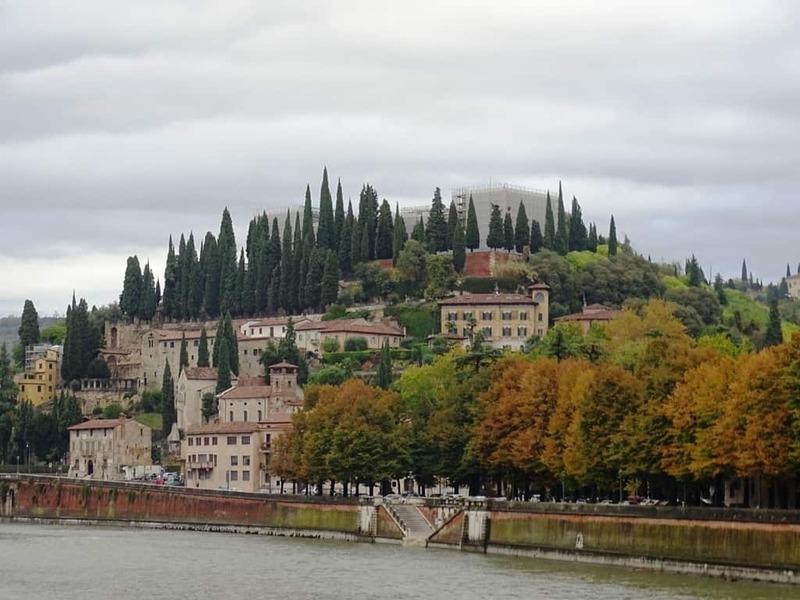 Thought to be one of the most spectacular viewpoints in the city, this is a must-see location in Verona. 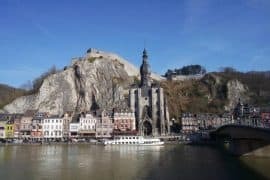 This breathtaking viewpoint can be reached by hiking or by car and offers an incredible 180-degree view overlooking the town, river, and bridge. 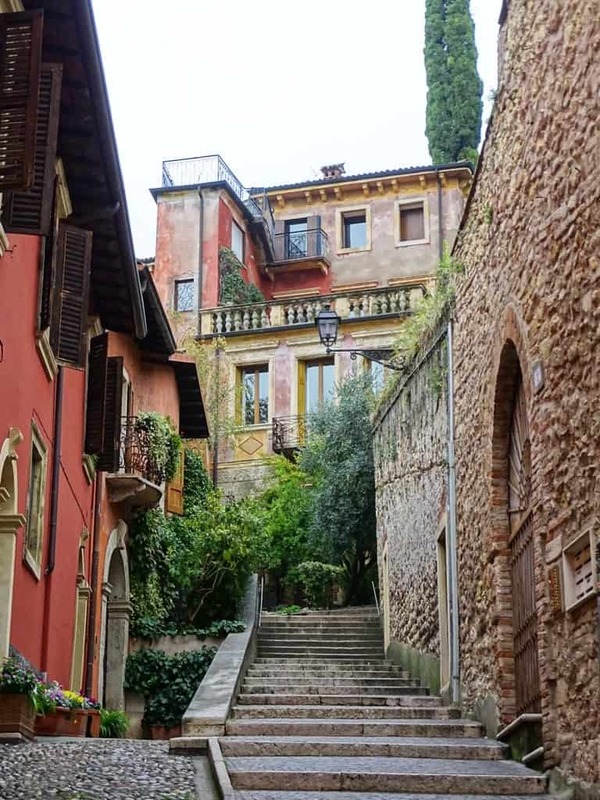 The Corso Porta Borsari is a sacred road into the Roman city of Verona, although today it is also a famous shopping street. 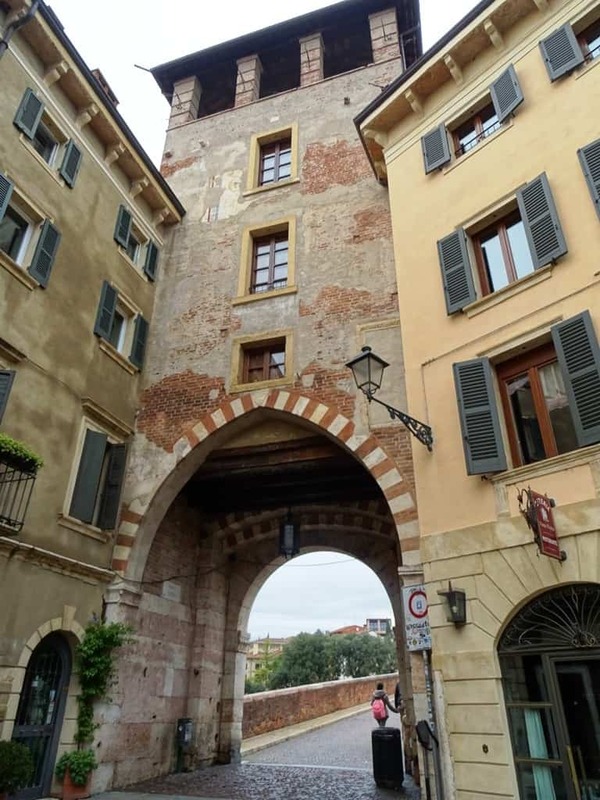 The Porta Borsari, a 3rd-century gate, can be found here along with some marvelous wine bars, gourmet bistros, and cafes. 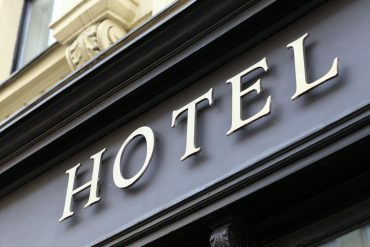 If you decide to spend the night in Verona I recommend the following hotels. 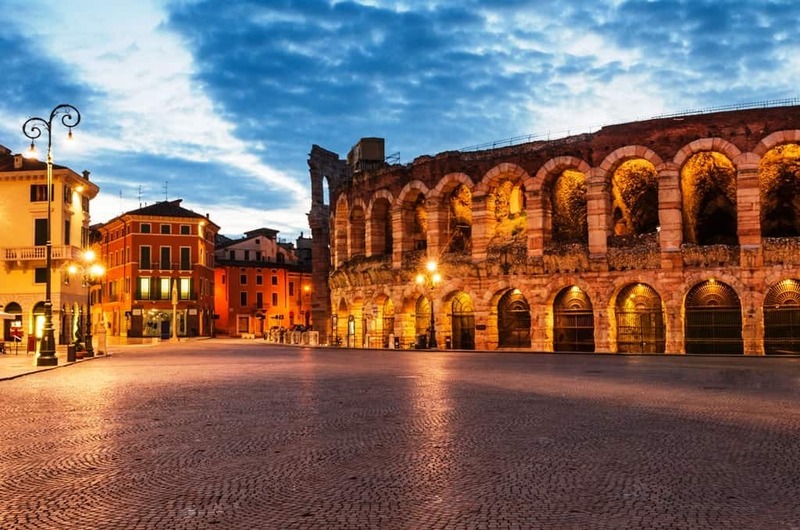 Conveniently located in the historical center of Verona, and just steps from the Arena of Verona, friendly staff and an abundant breakfast make this hotel great! Beautiful rooms make this 3-star hotel feel like a 4-star! 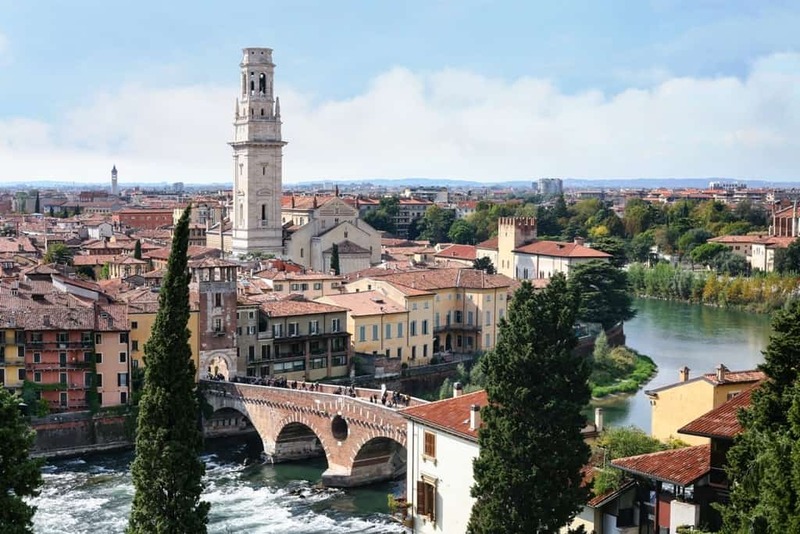 Its central location in the heart of Verona and easy access to sites and shops make it a fantastic choice. 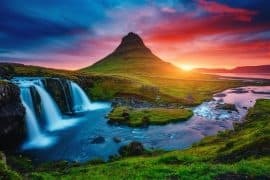 Enjoy peace and quiet outside of the city center with free on-site parking. 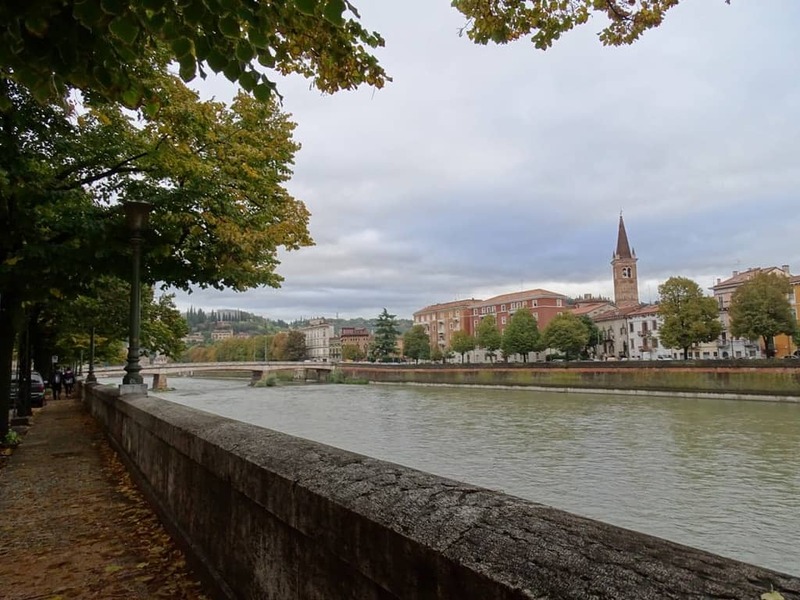 A 5-minute drive or excellent public transportation makes getting to the heart of Verona a breeze. 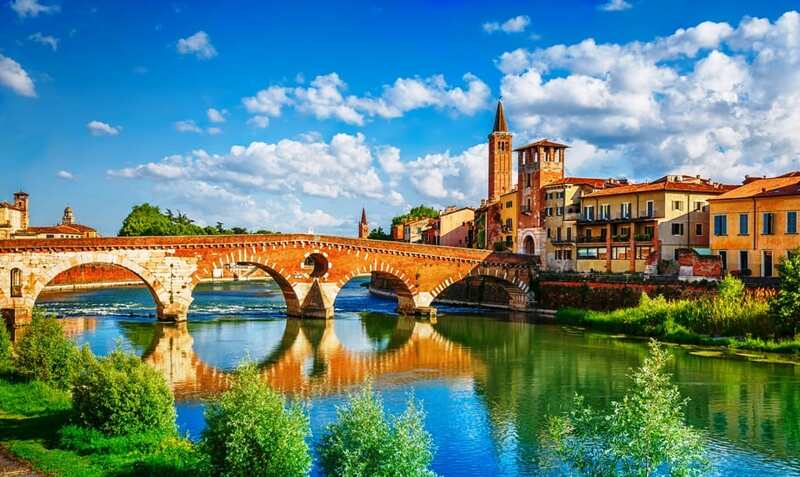 Verona, Italy is the perfect city to visit to get your fill of Italian culture. 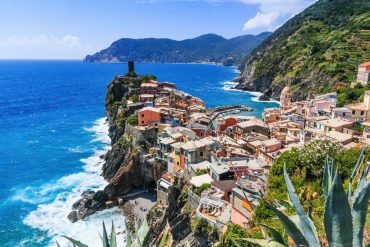 The old roads, elaborate churches, and many piazzas give off the authentic Italian feel you’re looking for while traveling through this rich country. 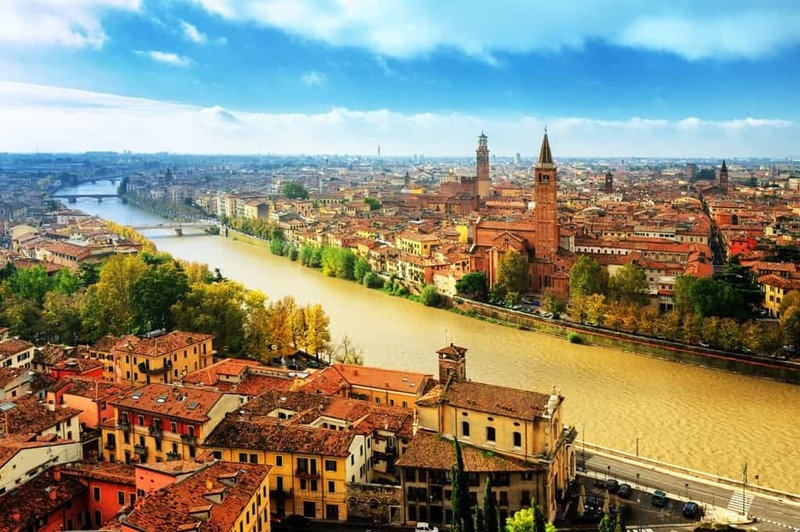 If you find yourself traveling through the northeast part of Italy, it is a must to spend a day in Verona. Extremely good suggestions. If I may add, I would suggest to take a stroll in the Giardino Giusti. The palace itself is interesting, but the gardens are the real gem there.